An illegal whaling ship was apprehended and neutralized off the coast of Somalia this week by military personnel from the European Union Naval Force (EU NAVFOR). The discovery of the pirate whaling ship followed a reported pirate attack on another vessel in the area earlier this month. After deploying anti-pirate forces — including aircraft and ships — to further investigate, officials confirmed that the whalers were active, not only slaughtering these marine giants illegally but posing a direct threat to legitimate vessels in the area. The crew of ESPS Castilla tracked this illegal vessel to a small bay, where they seized it, removed the crew, and towed it out to sea to be destroyed. “Using the resources of Op Atalanta we were able to identify, track and destroy the equipment of a Pirate Action Group making it harder for them to attack maritime shipping in the future,” said Admiral Nanclares of EU NAVFOR. “We will continue to deter and prevent acts of piracy with every chance we get in order to ensure vulnerable shipping and their crews remain safe while they transit the Western Indian Ocean”. Operation Atalanta is a European counter-piracy military initiative aimed at fighting the massive problem of piracy around the coast of Somalia and the Gulf of Aden. In addition to this, they monitor illegal fishing activity in the area. The Gulf of Aden was once teeming with marine life, home to a wide variety of whales and dolphins. Now, only a handful remain, thanks to decades of overhunting by countries like Japan and the Soviet Union. Commercial whaling was banned by the International Whaling Commission in 1986, but Iceland and Norway continue the process in objection to the mandate, while Japan exploits the loophole of “scientific whaling,” slaughtering hundreds of whales every year under the guise of research. While both commercial and illegal whale hunting are barbaric, at least there’s one fewer ship roaming the oceans, thanks to Operation Atalanta. I agree. Prosecute them. Maybe long prison terms. Shoot crew then tow boat to shore, sell for salvage. I agree. Prosecute to the fullest extent. Maybe long prison terms at hard labor. More actions like this are needed. Sink all whaling ships. Great Work Spain. Thank you. NEXT TIME, BOAT AND CREW BE SINKED BOTH!! !BECAUSE THEY SURELY WILL DO AGAIN!!! Thumbs up to to those who knocked out the lights on these heartless rapers of sea life! I hope they all went down to the bottom buried with the ship! God bless those who took down this whaling murderers! excellent news, though a drop in the ocean. Thank you for the good news!…Crew included next time! My only regret is that they removed the crew before destroying this ship! That’s awesome. Sink them all. Crew included. Great work. Send them ALL to Davey Jones locker. Evil demonic Savages get rid of them please. Feed them to crocs or lions. NO JAIL TAXPAYERS REFUSE TO PAY FOR THEIR UPKEEP IN PRISONS!!!! Hmmmm. They took the ship out to sea and destroyed it, thus poisoning and probably killing numerous species of sea-life in the process. They killed 6 schrimp, a jellyfish and one oyster. Only problem I see is that they took the crew off the boat first!! No way? They took the crew off the boat? Where does it say about that? What is the point them of blowing up the ship. Good to see Spain do something useful for a change. Now stamp out the bull burning!! Thank you for mentioning the bull burning. Boycott is the language all countries understand. Impact Spain’s, South Korea’s and China’s tourism trade by not traveling there, and do not buy their products. It can be done. Please do not say that Spain is like China. No no no .. we are working to hard to stop the horrible bul fighting. I can mention countries like Denmark with the terrible killing of delfins. Please do not compare Spain with Korea, China. Spain is exactly like China, maybe even worse. 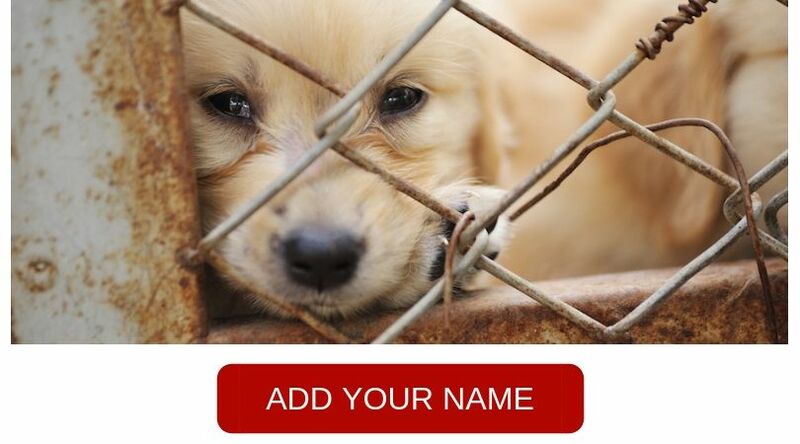 The Chinese dog-meat trade involves extreme cruelty and should be stopped. HOWEVER, there are many people in Spain as well as in some other countries who stab bulls and also set bulls ON FIRE FOR ENTERTAINMENT, even bringing children to cheer. I call that the very definition of barbaric. Too bad they removed the pirates b4 they blew up the ship. Wow. It’s stupid then to blow up the ship if no one was on it. They could have had the men in charge pay for an environmentally friendly removal and repurposing of the vessel instead, and jail them for a while if they can’t pay. Like this they’ll get another ship. Financial punishment is never just for crimes like this. Taking away freedom and licences is what would be more effective. Plus they disturb marine life in the process. These scums, pieces of garbage will stop at nothing. Pieces of non human garbage, savages! They will not be happy until they destroy all living life human and animal. Susan Rudnicki has a point . I wonder if the diesel in the ships tanks was pumped out before the sinking? However the effort to stop illegal hunting of wales is to be applauded. I wonder at the amount of toxic waste released from blowing up the ship and its fuel load and machinery. Can’t be anything but a toxic hit to the sea. Would be better to tow the ship to a port and take it over. I only hope they left the pirates on board when they blew the ship up. Good riddance! if they did. Let THEM feed the marine life for a change. Excellent. Burn the ships and shoot the pirates. They didn’t shoot the pirates, they removed the crew prior. Read. Wish they had shot them.